Melbourne Central Shopping Centre has over 300 stores. I wanted to include some of the Discounts and Specials on offer at the Melbourne Central stores, as I didn't really feature many shops in my first Melbourne Central article. I started to research some of the shops that are based in the Melbourne Central Shopping Centre. I was amazed at some of the great acts of goodwill that some of the stores are doing to assist others in the community. This article features some of the stores, the products they sell, and the community projects that some of the stores are currently undertaking. Sass & Bide have partnered with Make-A-Wish® Australia to create a new limited edition necklace. All proceeds from the sale of the "Sass & Bide" star necklace will be donated to help make wishes come true for children who have life-threatening medical conditions. Over the last two years "Sass & Bide" have raised over $160,000 through sales of the "Sass & Bide" star necklace. Sass & Bide is the label of Sarah-Jane Clarke (sass) & Heidi Middleton (bide). Sass & Bide offers a range of ready to wear women's clothing. Their clothing is stocked in over 20 countries, the range is available at boutique stores, department stores worldwide, and online to New Zealand, the United Kingdom and the USA. At Jeanswest you will find a range of denim jeans. 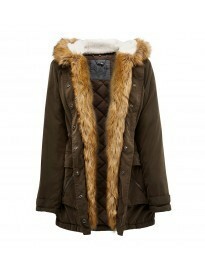 They also have a range of cardigans, printed sweaters and embellished knits. At Jeanswest you can find the perfect pair of denim jeans for your fit and size. Jeanswest has many styles, colors and looks. The huge range of denim women's jeans includes curve, embracer, buttlifter, maternity, and tummy trimmer jeans. Team your jeans with this season's fashion tops. From casual tees and basic singlets, to flowing shirts, kaftans or delicate knitwear. Jeanswest has the top to go with your Jeanswest jeans. Jeanswest has a range of men's jackets. Update your wardrobe as the weather cools down. You can purchase a casual anorak or parka, coat, or men's jackets. It's good to see that Jeanswest caters for men as well as women. I often feel that men get left out when it comes to a great range of clothing and fashion. Jeanswest has been a supporter of the Reach Foundation since 2004. Through their involvement Reach has assisted almost half a million young people. The support Jeanswest has provided includes monetary donations, volunteers, providing fundraising and awareness. Jeanswest also provides work experience for Reach participants within their 230 store network. Each year Forever New donates over 38,000 pieces of clothing and accessories to local charities. Forever New is committed to helping organisations that support young women and their families. Fashion can bring happiness and excitement to young women who wouldn't ordinarily have the chance to shop at Forever New. Forever New launched a new Twilight Symphony collection. In store now. A soft romantic mood captivates in Twilight Symphony, the harmonious new collection from Forever New. 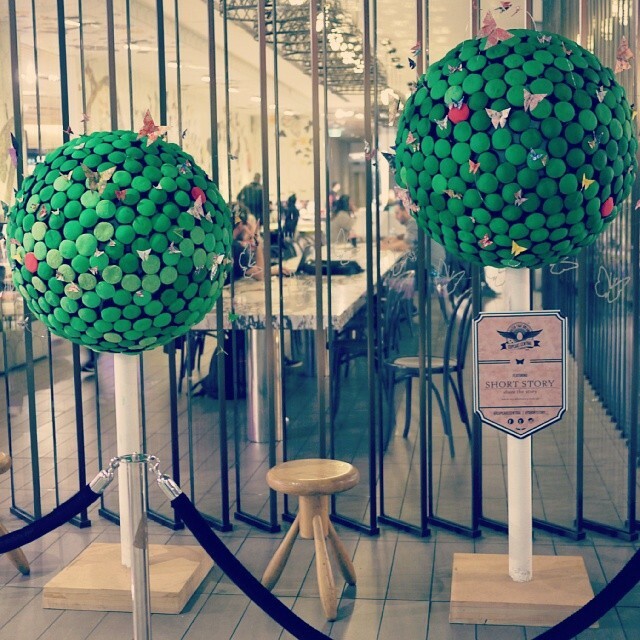 The cupcake sculpture was on Level 2 at Melbourne Central. 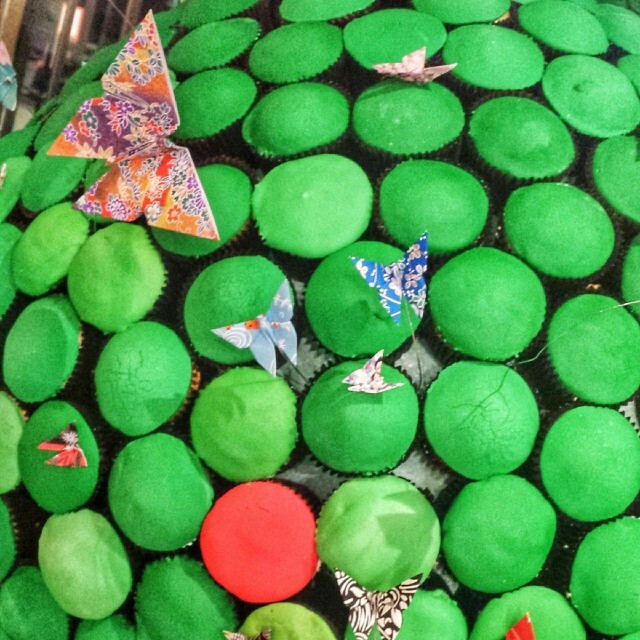 It took over 20 hours to make, included 1000 cupcakes, 15 kilograms of fondant and 100 handcrafted butterflies. Bailey Nelson was founded in 2012 in Bondi Beach. They strive to deliver fantastic eye wear frames at reasonable prices, backed up with great service. 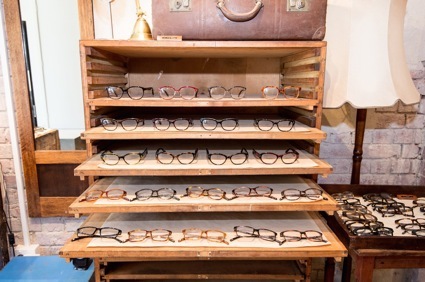 All lenses are fitted locally in Sydney so you get your eyewear as quickly as possible. Anyone can come along and swap, share or just take a book to read in Melbourne. People are encouraged to take a book to read and in return it is requested that they leave one in its place. 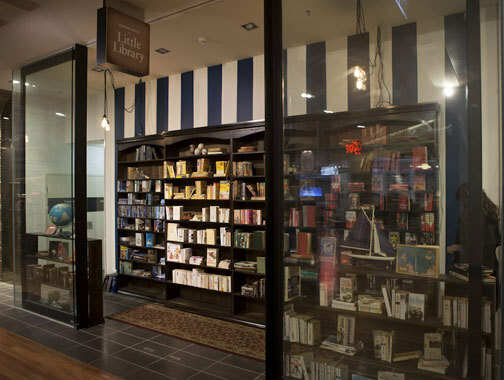 For more information about any of the stores mentioned above, or to see the selection of stores at Melbourne Central go to the Melbourne Central website. Images courtesy of Melbourne Central.